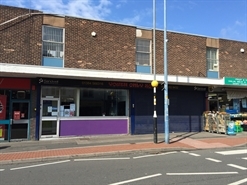 Unit 4 forms part of two units located in the Trinity Centre, fronting Halesowen Road in Old Hill, West Midlands. The units are close to Costcutter and Ladbrokes. The Rateable Value for Units 3 and 4 combined is £8,800. Unit 3 forms part of two units located in the Trinity Centre, fronting Halesowen Road in Old Hill, West Midlands. The units are close to Costcutter and Ladbrokes. The Rateable Value for Units 3 and 4 combined is £8,800.